According to reports coming out of Portugal, Inter Milan are lining up a move for Genoa defensive midfielder Miguel Veloso. Veloso was disappointing last season for the Italian club, but has been much better so far this season. Due to his fine performances, clubs such as Lazio and CSKA Moscow, and more recently Inter Milan, were on his tail. Inter, however, look to be the most likely destination if Veloso were to leave Genoa. Inter’s Thiago Motta is set to be sold to PSG, and the club regards Veloso as the perfect replacement. Inter is also interested in Porto playmaker Freddy Guarin, so Veloso’s move may depend on whether the Colombian completes his move. 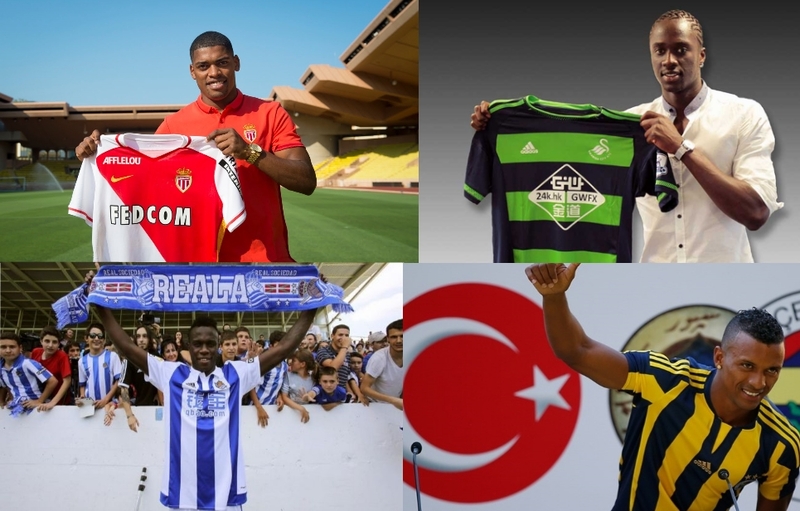 The transfer window has been quiet up to this point, but it appears that things may be starting to heat up. Here are two stories, one a loan and one a permanent transfer. While these are most likely not huge stories, they are nevertheless interesting. Porto right-back Miguel Lopes is set to spend the remainder of the 2011-2012 season on loan at fellow Liga Zon Sagres outfit, SC Braga. Lopes has not played in a single competitive match this season for Porto, and this move will surely come as a relief for the defender. The right-back spent the entirety of last season on loan to then-Segunda Division side, Real Betis. Lopes was instrumental in the team’s promotion back into the Spanish topflight. On the last day of the summer transfer window at the beginning of this season, Zaragoza reportedly made a bid for Lopes. The offer was accepted, but eventually fell through due to the time constraint. Miguel Lopes will join up with his new teammates shortly and begin training. Diogo Rosado, once tipped to be a star for the future, is set to leave his homeland, according to reports coming out of Portugal. Currently on loan from Sporting at Liga Zon Sagres side Feirense, the winger has been impressing. A solid performance against Benfica earlier in the season was thought to be a sign of things to come. Unfortunately, playing time has not been ample for the 21 year-old. He has only managed four starts for the club this season. Anyhow, Rosado has been on the books at Sporting since 2001, but he looks to break that at the end of the season. His contract with the Lisbon-based club runs out at the end of the season, and Genoa either has, or shortly will, offer him a 5 year-contract. Following his impressive displays for Portugal at the recent Under-20 World Cup, Pele has made the switch to A.C. Milan. Genoa snapped him up in the off-season, but Milan have now acquired half of his rights and get to use him next season. Pele played over 600 minutes for Portugal at the recent U-20 World Cup, and formed a solid partnership with Danilo Pereira. Those performances have caught the eye of the Italian champions, and Pele looks set to become a Milan player shortly. There is no mention of the move on Milan’s website, but sources all across Portugal are confirming it. 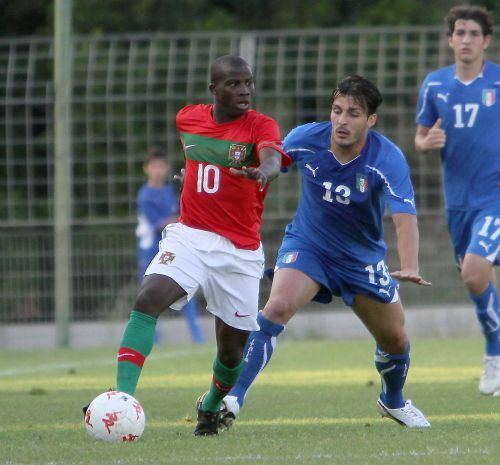 Nelson Oliveira and Lassana Camara have both been dropped from the Portuguese Under-21 team, due to injury. Both Oliveira and Sana, as he is called, impressed for Portugal during this summer’s U-20 World Cup. They have more than earned their call-ups, but their U-21 debuts will have to wait. Pele, of Genoa, and Joao Silva, currently on loan at Vitoria Setubal from Everton, have been called up as able replacements. Joao Silva has been in fine form this season, already scoring twice this season. Pele has yet to play for Genoa, but like Sana and Nelson Oliveira, he was impressive in the U-20 World Cup. The Portuguese Under-20 Team is through to the second round after two 1-0 wins over Cameroon and New Zealand each. Portugal’s overall play improved from their lackluster display against Uruguay in their opening match. The team added to their rock-solid defense a creative offense, and while it hasn’t gotten them goals, it has helped them just enough to reach the next round. 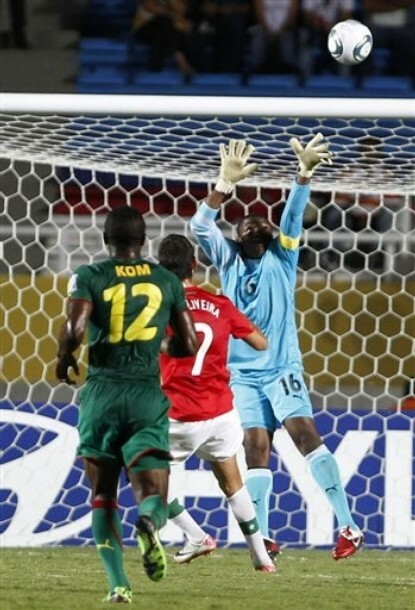 Portugal earned a deserved 1-0 victory over their African opponents on Tuesday. Nelson Oliveira scored the Seleccao’s only goal, which was enough to get them the win. Portugal controlled the majority of the match, and enjoyed much more success in their attack than they did against Uruguay. Their attack all payed off when two poor clearances from Cameroon’s defenders gave Nelson Oliveira a one-on-one situation. The Benfica man took his goal well, calmly lobbing it over the keeper to make the score 1-0. Portugal continued to control the match, but the game would end at 1-0. The Seleccao U-20 sealed their place in the second round with their 1-0 win over New Zealand. Mario Rui scored the only goal of the match, but that was enough to give Portugal a deserved 1-0 win. Many are wondering, however, how the score was not more than 1-0. Portugal had many opportunities, mainly through Nelson Oliveira, who enjoyed a splendid game. 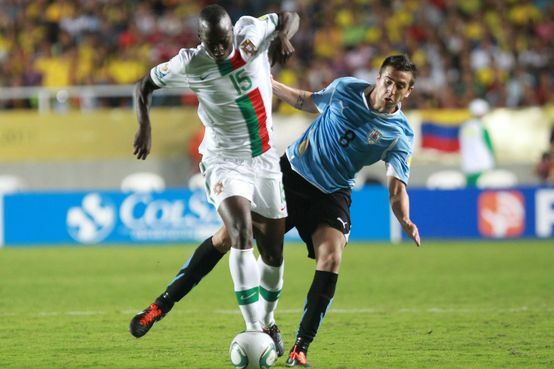 The Portuguese Under-20 team will now face Guatemala in the Round of 16 of the 2011 FIFA U-20 World Cup. Guatemala have not looked impressive at all, losing 6-0 to Saudi Arabia and 5-0 to Nigeria, so a comfortable win should be in the bag. The quality of this Portuguese team is evident, and will continue to grow as the team finds its feet in this competition. Nelson Oliveira and Caetano have already shown that they are destined for bigger things, and players such as Pele, Danilo Pereira, and our entire defense have shown what they are capable of. Portugal will go far in this tournament. Mark my words. The Portuguese National Under-20 Team settled for a draw tonight against Uruguay. Both Portugal and Uruguay controlled the game from time to time and were, overall, even. Portugal showed more possession in the first half of play, but Uruguay stepped up their game in the second half and shackled Portugal’s play. Both teams came close at times, most notably when Sergio Oliveira hit the post with a marvelous free-kick, and when Uruguay’s captain, Diego Polenta, rattled the crossbar with a long-range effort. Overall, Portugal played a defensive, possession-first game. The service to the forwards was not always the best, with Sana to be partially at fault. Danilo Pereira and Pele both excelled in their defensive midfield duties, but they would often leave Sana and Sergio Oliveira to do most of the creative attacking work in the midfield, due to their defensive approach. By far the most important aspect of the team was the defense. Nuno Reis and Roderick were water-tight, shutting down Uruguayan advances all night. The outside backs (Cedric and Luis Martins) were solid also. Mika: 7 : Benfica’s new signing certainly lived up to his reputation with an assured display. He always looked confident in his handling. Nuno Reis: 7 : The pairing of Roderick and Reis complement each other well. The defense was one of Portugal’s strong-suits tonight, no doubt because of him. Roderick: 7 : As stated above, Roderick performed well in his defensive duties, constantly breaking up plays. His range of passing was also a sight to behold. Luis Martins: 6.5 : Martins had a solid game defensively, but I would have liked to see him attack more. Pele: 7 : Genoa’s new signing met all expectations. Pele is naturally a very gifted player, and it was shown tonight. He constantly got himself out of sticky situations using his skill. Along with Danilo Pereira, He anchored Portugal’s team and supplied the link between the defense and midfield. Danilo Pereira: 7 : Much the same with Pele, Danilo fulfilled his role well, holding the midfield down with style. The only downside to his performance was his lack of attacking. Sana: 6.5 : Virtually Portugal’s only creative midfielder, Sana was constantly on breakaways and feeding the forwards passes, only for them to make a mess of them. It must have been a frustrating night for him. Sergio Oliveira: 6.5 : Apart from hitting the post in the second half, Porto’s midfielder didn’t do much. He hit many speculative shots, but could have helped Sana more in the midfield. Nelson Oliveira: 6 : Overall, Nelson Oliveira did not play well. He did not play badly, but he just had a bad game. Missed an open opportunity when Sana put him through on goal in the second half, but he missed his shot. Rafael Lopes: 5 : A very dissappointing performance from the forward, who just couldn’t find his feet. The only thing he did was make Uruguay’s players angry. He was nowhere to be seen for large chunks of time in the game. Alex: 6.5 : The Santa Clara man came on for the ineffectual Rafael Lopes, and did better than his predecessor. He made some good passes and generally looked good on the ball. Would be a good replacement for Rafael Lopes in the coming games. Julio Alves: 6 : Overall a very mediocre performance from Atletico Madrid’s new signing. Mind you, he did only have a handful of minutes at the end. Tiago Ferreira: N/A : Not enough time on the field to give a rating. Genoa are the most recent club to be following Sporting’s center-back, Nuno Andre Coelho, according to reports coming out of Portugal. Clubs such as Napoli, West Brom, and Palermo are all said to be interested, but Genoa has now declared interest. Coelho started the season well, constantly in the starting lineup. His performances were impressive enough to catch the eye of the Portuguese National Team coach, who proceeded to call him up. Nuno then fell slightly out of favor at Sporting Lisbon, and has since seen a greatly reduced amount of playing time. Now, foreign clubs have become to interested in hiring him. If his situation does not improve at Sporting, we may very well see him at another club in the near future. 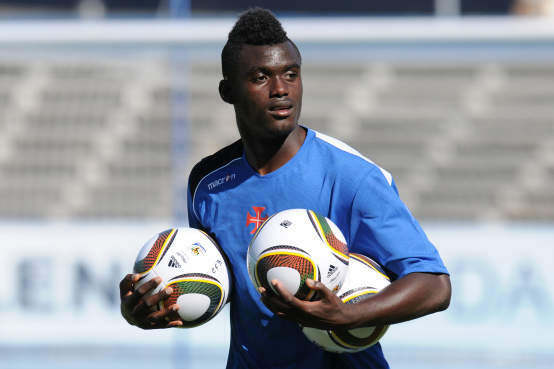 Belenenses midfielder, Pele, has reportedly sealed a deal that will see him move to Genoa at the end of the season. A current Portugal U-20 international, Pele had been in talks with Genoa earlier this season, but nothing more had been reported. Now, according to reports coming out of Italy, the Italian club has tied down the promising midfielder on a 5-year deal. The midfielder tried to style his play after English legend, Steven Gerrard. Belenenses are currently sitting in the relegation zone in Portugal’s second division, after being relegated from the Liga Sagres last season.